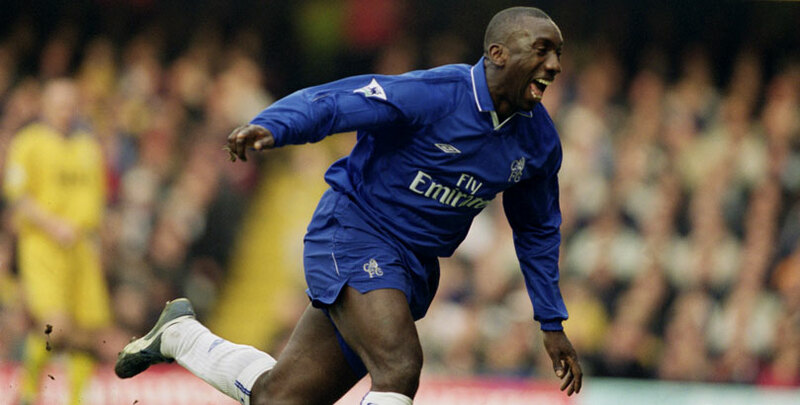 Jimmy Floyd Hasselbaink scored 88 goals in 177 appearances for Chelsea during a four-year spell at Stamford Bridge. The former Holland international won a second Premier League Golden Boot during his time with the Blues and also featured in the 2002 FA Cup final, losing 2-0 to Arsenal at the Millennium Stadium. 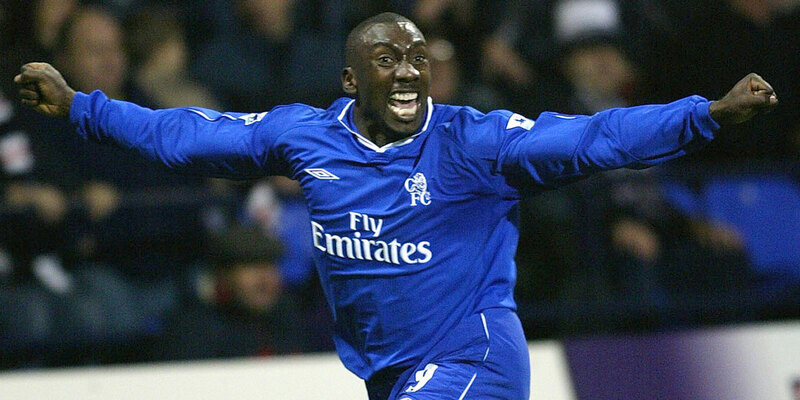 In an exclusive bwin interview, Hasselbaink shares his thoughts on his old club. Will Chelsea finish in the top four of the Premier League? I think Chelsea will finish in the top four and qualify for next season’s Champions League. 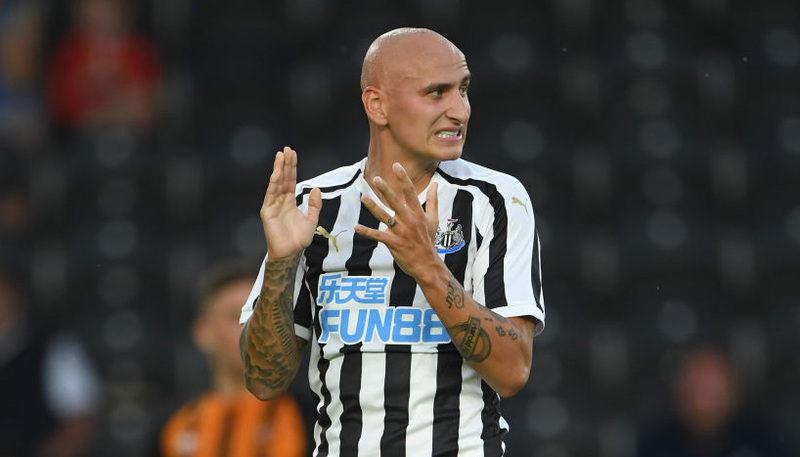 They’re in a good position following the win at West Ham and there’s signs they’re building momentum ahead of a very tough game against Liverpool this weekend. The side has looked a bit fresher, more determined and more direct in recent games. Chelsea are potentially hitting form for the crucial run-in while Manchester United and Arsenal are beginning to falter. Chelsea have a very difficult fixture away at Old Trafford, but I think they will be confident of achieving top four if they can get at least a draw at Anfield. Liverpool are gunning for the Premier League title so they will be determined to win a game that otherwise they might have been content to draw. Liverpool know that a defeat or even a draw is a disaster to their title chances and that could play into Chelsea’s favour. Chelsea have players who are more than capable of taking advantage of those gaps. A draw would be a good result. Are Chelsea favourites to win the Europa League this season? Chelsea will be confident of going on to win the Europa League, but I think the Premier League represents the club’s most realistic chance of qualifying for next season’s Champions League. I think Chelsea are definitely among the strongest teams left in the Europa League, alongside the winner of Arsenal and Napoli, but anything can happen in cup competitions and a piece of luck can decide who lifts the trophy in the final. Chelsea will be happy that they can watch Arsenal and Napoli eliminate one another as I think they’re two of the few teams who they would be wary of. I think Valencia are also capable of being the dark horse as they have found form in LaLiga and recently beat Real Madrid. Do you think Chelsea have underachieved this season? 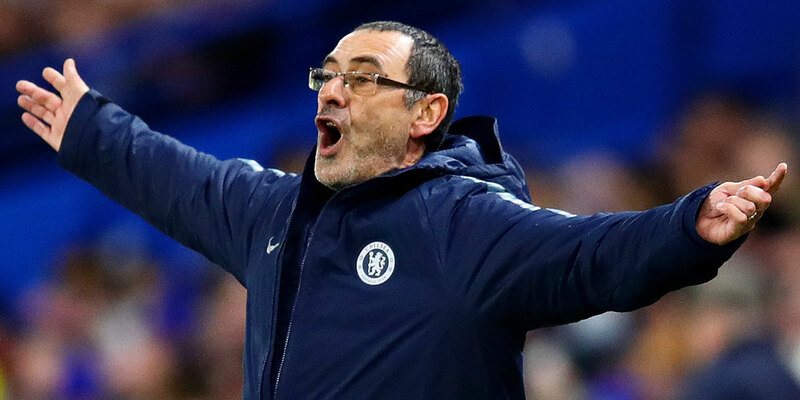 [Maurizio] Sarri has endured plenty of criticism this season, but I don’t think Chelsea have underachieved if they do go on to finish in the top four of the Premier League. I think it is mission completed for Sarri if Chelsea go on to qualify for the Champions League. It would be a disaster for Chelsea to go consecutive seasons without Champions League football and everything hinges on that. We shouldn’t forget the circumstances that Sarri took over at Chelsea. I think the squad has been on the decline for quite some time and the club didn’t spend particularly big in the summer to support him. The style of football had become quite stale too and I think we’re now seeing a more attractive kind of play. Sarri just needs to learn from his mistakes and avoid falling into the possession trap because possession is not king if it is not fast or incisive. Do you expect to see Sarri in charge of Chelsea next season? I think Sarri deserves to still be Chelsea manager next season, but it will all depend on whether Chelsea go on to qualify for the Champions League. The next month could determine if Sarri is sacked this summer because we know Chelsea aren’t afraid to pull the trigger if they don’t get what they want. Sarri has not done a bad job. I don’t think too many were expecting Chelsea to compete for the Premier League this year and the club is in third at the moment. Chelsea might have already won a trophy with the Carabao Cup when they were the better team against Manchester City and they’ll be confident of reaching the latter stages of the Europa League. I’m hoping Chelsea will finish the season strongly and have momentum going into next season. Chelsea have built a reputation of changing managers and yet still winning trophies. Is this a system that works well for them? Chelsea have a big reputation for hiring and firing managers on a regular basis. Roman Abramovich will point to a trophy cabinet having won every major club competition and say that this strategy is working for him. You could say the writing is on the wall for Sarri if he doesn’t go on to qualify for the Champions League and it would be naive for him think otherwise, but I don’t believe the current strategy is sustainable. Chelsea are in transition at the moment, with an ageing squad and a massive question mark hanging over them whether they’re able to make transfers this summer. The club should use this as an opportunity to find continuity with their manager and promise them enough time so they can bring through players from the academy. Chelsea haven’t had a player progress from their academy since John Terry and I think the hire and fire strategy is partly responsible for that. With [Callum] Hudson-Odoi on their books, they have the perfect opportunity to change that reputation. Jorginho was the big summer transfer signing. Do you expect him to perform at Chelsea? Jorginho is a very, very good player and it’s a shame we haven’t seen the best of him in a Chelsea shirt so far. I think he is struggling to adapt to the pace of the Premier League, which is much faster than the slower tempo of the Serie A. We have seen him get pressurised and rushed while in possession of the ball in a way that he probably wasn’t while he was in Italy. He is playing in his best position, but he’s not getting the time or protection that he needs to perform at his best. 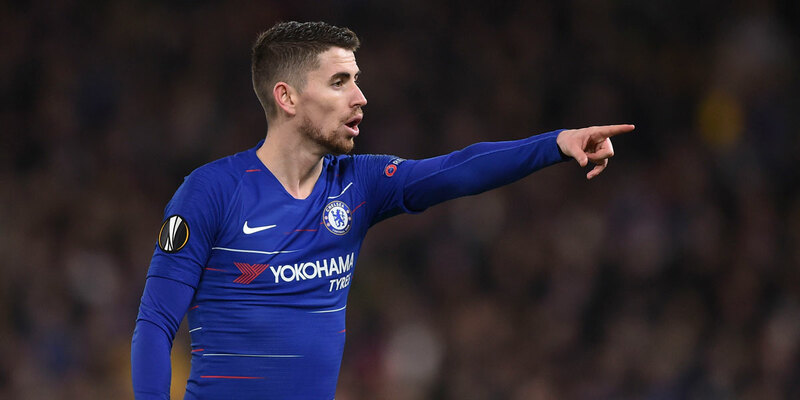 I think Jorginho will definitely come good at Chelsea, but the fans need to understand and accept he is a player who dictates the flow of the game rather than someone who will score and assist goals. When fans are frustrated with Sarri’s style of play and they’re seeing little end product as a result of the possession, Jorginho is getting that criticism. His role is to turn that possession into creating goalscoring opportunities for his team-mates. Are Chelsea at risk of upsetting N’Golo Kante by playing him out of his preferred position? Kante is the best stopper of play and the best ball-winner in the world, I don’t think there’s much doubt about that. He might become frustrated at being tasked with playing further forwards and outside of his comfort zone, but I don’t think he will let it show. Kante is clearly a very respectful player who puts the benefit of his manager and his team above himself. He will play where he is asked and do the best that he can rather than throw his toys out of the pram. Chelsea are fortunate Kante has such a professional attitude because it was obvious in the summer that Jorginho and himself would both want to play that role sitting in front of the defence, albeit in very different ways. I’m sure a director of football would have raised this concern and had the conversation with Sarri, but he obviously wants a creator in that role so the decision was made and they’ve stuck with it for better or worse. What do you think to Hudson-Odoi? Could he play a starring role next season? I’m a huge fan of Hudson-Odoi and I really hope Chelsea can convince him to stay. I think Hudson-Odoi has deserved more opportunities than he has been given this season and he should have played more minutes and more matches. I think Sarri has stayed too loyal to the experience of Willian and Pedro because they haven’t performed at their top level this season. However, Hudson-Odoi has been given more game time recently and I’m hoping that will lead to a starring role for the end of the season. Sarri can show how much he trusts Hudson-Odoi by playing him in these crucial games that will decide if Chelsea finish in the top four of the Premier League or go on to win the Europa League. I have seen Jamie Carragher’s comments that Hudson-Odoi shouldn’t sign a new contract and that [Eden] Hazard is too good to stay at Chelsea. I was annoyed because I thought they were very hypocritical. Carragher didn’t have that opinion when [Luis] Suarez or [Philippe] Coutinho wanted to move to Barcelona or when [Raheem] Sterling wanted to move to Manchester City. Hudson-Odoi is a homegrown talent and he will not be loved more at another club than he would be at Chelsea. Jamie Carragher would have never left Liverpool and I’m not sure if he should advise youngsters to do the opposite. Gary Cahill is Chelsea club captain, but has barely played this season. How much of a role can he play from the bench? This season has been very tough for Gary Cahill, who has been frozen out of the team, despite being the club captain. It reminds me a lot of John Terry’s final year at the club who was always there supporting the players but while rarely stepping onto the pitch. I think Cahill has deserved more opportunities this season, but he has found himself down the pecking order behind even [Andreas] Christensen. Cahill is a very proud man and I know he is a player who was born to put the team first, that is why we have never heard a bad word from him even in such tough times. Chelsea signed Kepa for a world-record fee. Have you been impressed with him? I want to see more from Kepa to justify the price tag that Chelsea paid for him. I think he has the potential to be one of the very best, but it is too soon to judge whether he will be a success or not. I think his distribution and ability to play from the back is magnificent, but I’m not convinced by his shot-stopping and he doesn’t inspire confidence when he comes for crosses. Kepa is still a very young man and goalkeepers don’t tend to hit their peak until much later in their careers so he will only get better with age. Kepa is almost the opposite to [Thibaut] Courtois who was a great goalkeeper for Chelsea. Courtois has had a very difficult season at Real Madrid and is now on the bench precisely because he doesn’t possess the distribution skills that Kepa does. However, purely as a goalkeeper, Courtois is better at this moment in time. Danny Drinkwater found himself in trouble for drink-driving this week. Will Chelsea be looking to move him on this summer? Danny Drinkwater has let himself down this week and he is the only one responsible for those actions. He’s been frozen out of the squad at Chelsea and it’s very unfortunate circumstances for him, especially at this stage of his career. He won the Premier League at Leicester City and earned a big move, but he hasn’t been given an opportunity to show what he can do. I suspect Chelsea have been trying to offload him for a while, but that hasn’t materialised. I hope the club and player can find a solution this summer that will allow Drinkwater to resume his career elsewhere. Marcos Alonso has come in for some recent criticism. Do you think this is justified? I feel sorry for Alonso and I don’t like that he is often singled out for criticism. I think he has fantastic quality in attacking positions. Alonso probably scores and creates more goals than most full-backs in world football, but there’s no denying that he can sometimes be exposed out of position defensively. It leaves Chelsea open to a counter attack and it can be frustrating to watch. Chelsea have the prospect of a transfer ban hanging over them. How big a problem is this? A transfer ban for Chelsea would be a disaster, a very big disaster. I think Chelsea needed huge investment this summer for the club to compete for the Premier League and Champions League again, but now their hands may be tied stuck with a squad that isn’t good enough and is only getting older. The squad has been on the decline and a group of players are reaching their expiry date at the top level. The squad is very unbalanced, with several midfielders who are all remarkably similar and no world-class striker at the club. There’s such an absence of creativity in that midfield and it has felt like an age since the club had a reliable striker to put the ball in the net. The transfer ban could be a blessing in disguise in some regards as the manager might now be forced to give opportunities to the likes of Hudson-Odoi and [Ruben] Loftus-Cheek. I’m a huge fan of Loftus-Cheek and I think he brings so much power to Chelsea’s midfield that they’re lacking when he’s not on the pitch. He scores goals and makes goals. He should be one of the first names on the team sheet in my opinion. Can you see any of the loan players returning to Chelsea and making an impact? Chelsea have dozens of players out on loan and they may need to tap into that pool if they’re unable to make new signings for the next 12 months. I can see [Alvaro] Morata returning to Chelsea because I think the squad is in desperate need of a striker and [Gonzalo] Higuain hasn’t looked like the answer so far this season. [Kurt] Zouma might fancy his chances of coming back to Chelsea and becoming part of the squad, but I don’t think he would earn a regular starting role. [Tiemoue] Bakayoko will be moved on this summer because he hasn’t come remotely close to performing as he did at Monaco. That move simply hasn’t worked out for either party. There’s a couple of young players in the Championship, [Mason] Mount and [Jay] Dasilva, that might eye a role in the Chelsea squad next year similar to what Hudson-Odoi has had this season. I’ve been impressed with both of them, but it’s a big step up from the Championship to performing for Chelsea so I do think next season might come too soon for them. What do you think the future holds for Eden Hazard at Chelsea? I think the ball is entirely in Hazard’s court whether he will still be a Chelsea player next season. Chelsea have done everything they can to show that they love him and want him to stay, but he has one year left on his contract and he is in a controlling position to negotiate. I know that Hazard and his family are happy in London, but the lure of playing for Real Madrid may prove too strong. Chelsea cannot afford to allow Hazard to leave the club for free so he will either sign a new contract or be sold this summer. Hazard is a £100million asset, a £150million asset if he had another year on his contract, and Chelsea have a responsibility to not ignore that type of money. Hazard has been a great servant to Chelsea and the club will decide to honour his wishes by allowing him to leave if he doesn’t sign a new contract. What do you think will be the deciding factors for Hazard? 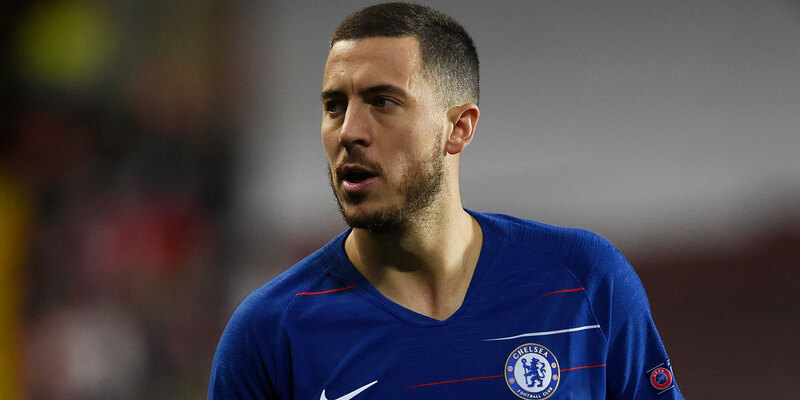 I think playing for [Zinedine] Zidane at Real Madrid is potentially the dream scenario for Eden Hazard and I’m not sure what more Chelsea can do to convince him otherwise. Hazard has never won the Champions League and he might feel he has a better chance of winning that trophy at Real Madrid than at Chelsea. The club would probably need to promise huge investment in the squad, but they might be powerless to do so as a result of the transfer ban. Do you think that Chelsea should look to sign [Meteo] Kovacic permanently this summer? I don’t think Chelsea should pursue Kovacic. I think he was signed as a way to get better value from the deal that saw Courtois go to Real Madrid, but he hasn’t been used correctly at Chelsea. Kovacic is a defensive midfielder and that is where he performed best at Real Madrid, but Chelsea are already blessed with Jorginho and Kante in that role. Chelsea need a midfielder who has creativity and can split defences with a final pass, who can set up strikers and achieve assists, but this is not Kovacic’s strengths. Chelsea continue to be linked with the likes of Robert Lewandowski and Mauro Icardi. Would you like to see these players in the Premier League? Chelsea are in desperate need of proven firepower so I would love to see them make a move for Lewandowski or Icardi this summer. Icardi would be my preference as I’m a little bit worried about Lewandowski’s age. I think Icardi is a more realistic target while also being more likely to adapt to the Premier League. Lewandowski is a superb striker but he is the wrong side of 30 and we have seen with Higuain that England is not an easy place to come at that stage of your career. Is enough being done to stamp racism out of the game? I don’t think enough is being done to stamp racism out of football. The governing bodies of football need to be doing a lot more than they are and that’s not just in the UK but across the world. There needs to be a more aggressive approach with the repercussions on racism. There’s no protection for players who are being repeatedly targeted. There’s not a strong enough stance on the matter and that extends outside of football as well. What actions need to be taken in order to finally stamp it out of the game? Sadly, we’re still a long way off from stamping racism out of the game and multiple actions need to be put in place before we can start making a real impact. One of the key issues that needs tackling is overall education on the matter. It’s hard to believe this is something we’re still having to fight against in this day and age. Appropriate punishments have to be sanctioned throughout the sport. What we have at the moment clearly doesn’t work or we wouldn’t be in the current situation. Where do you stand on Harry Kane’s approach of walking off the pitch? I commend Harry Kane for his comments on walking his team-mates off the pitch, but it’s not the answer. We shouldn’t be in a situation where players are having to walk off the pitch in order to protect themselves. The issue should be addressed and dealt with long before it gets to that stage.